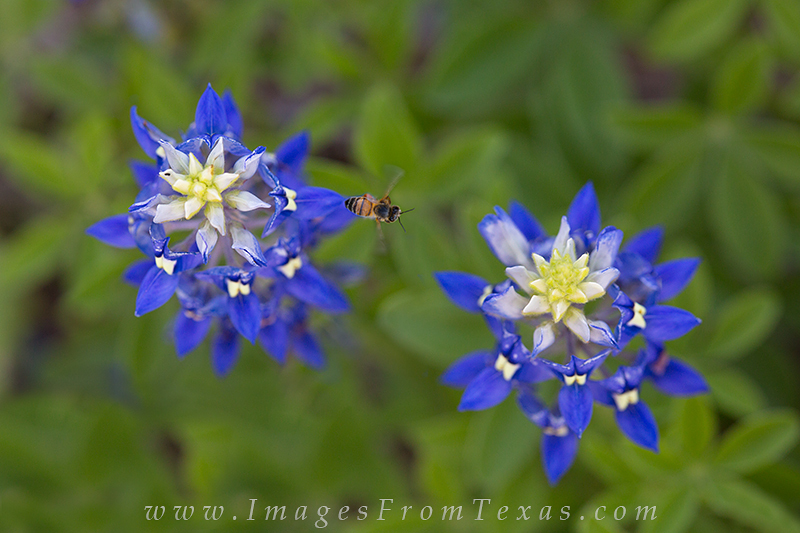 I had to work hard for this topside view of a bee working over a bluebonnet. Patience was a virtue, as was calmness as bees buzzed around my legs and body. Out of several dozen shots, this was the one I liked best. Photo © copyright by Rob Greebon.